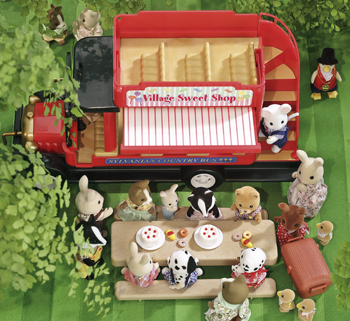 The traditional red double-decker bus has made a welcome return to the Sylvanian village and has room to carry up to 20 Sylvanians. Includes a pull-out-canopy, picnic basket with food, benches and a trestle table. Ideal for Sylvanian Family summer outings and trips.